Extra posts this week as I fill in for other bloggers plus it is going to be a hectic week away from the computer too. 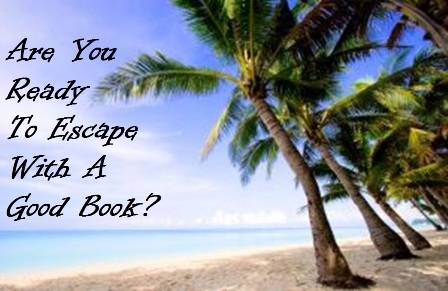 Are you ready to Escape into some Good Books? The Great Escapes Tour stops here on Thursday! Review will be up Saturday! Review will be posted soon! My Flashback Friday Book hopefully for this week. Janet will be my Special Guest next Tuesday! Stephanie will be my guest next week for Cozy Wednesday! The Great Escapes Tour stops her next Thursday! We have a lot of similar reads this week! I’ve got Fixin to Die, Murder at the Mansion, and Engaged in Death all coming up soon! I’m reading Death by Coffee by Alex Erickson and The Dying Tide by Nancy Kreml. I’m a little iffy on Erickson’s book so far but I’m loving Kreml’s. (in full disclosure, she’s a friend but it really is a good cozy).